It's a powerful thing to exercise your 1st Amendment rights given to you by the founders with Gods guidance. Felt good didn't it? Felt even better because it was in the face of tyranny. Even though they were hidden those that seem to have a perpetual hate for bikers were watching. There were those that held their breath thinking they would release another round of violence on us. The key to keeping that from happening was a peaceful protest. It's a powerful thing when used correctly. We got positive media coverage because it was all good. There was no 5PM news shows full of blood and guts with the police spiting out one lie after the other. There was no mass arrest with million dollar bonds. They couldn't brand us a gang because they've already done it repeatedly. 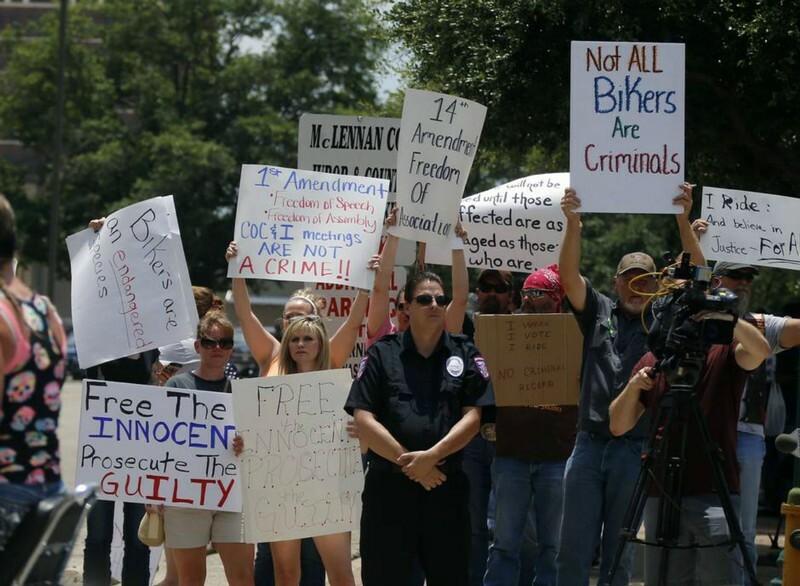 The mass arrest and violence that happened at twinn peaks should frighten the hell out of every American, especially bikers since a target has been placed on our backs by those that perpetuated the violance. It doesn't matter if your in a club our not. Mel Robins and I have been broadcasting at TBR for some time that sooner or later the government will take aim at the entire biking community. We just didn't know how or when. ​If we allow them to keep their campaign of hate going unchecked we will all suffer the consequences of new laws, regulations and harassment aimed at the motorcycling community (all of us). Our peaceful protests are crucial in this public fight. we cannot let them continue the smear campaign that's in progress. Soon, the spot light will shine on them for they have done wrong and they know it. All eyes are on Waco and the law. Something is not right and the media knows it. As General Douglas MacArthur said. we shall return, bigger, stronger than before. Stay tuned we have a plan... call your friends and encourage them to get involved join All For 1 Rally & Protest on FB..